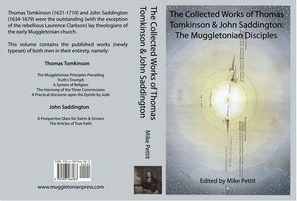 Thomas Tomkinson (1631-1710) and John Saddington (1634-1679) were the outstanding (with the exception of the rebellious Laurence Clarkson) lay theologians of the early Muggletonian church. 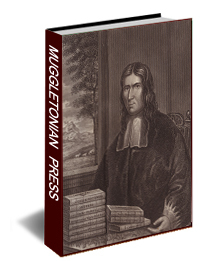 This volume contains the published works (newly typeset) of both men in their entirety, namely: Thomas Tomkinson "The Muggletonian Principles Prevailing", "Truth's Triumph", "A System of Religion", "The Harmony of the Three Commissions" and "A Practical discourse upon the Epistle by Jude". John Saddington: "A Prospective Glass for Saints & Sinners" and "The Articles of True Faith"